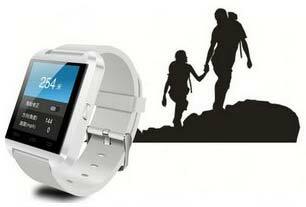 We settle the demand for Anti Lost Bluetooth Smartwatch from anywhere across the globe with our best quality product. We are bracketed with the top-notch Manufacturers, Exporters, and Suppliers of Anti Lost Bluetooth Smartwatch from China. Our Smartwatches come fitted with the revolutionary new technology, which makes these Smartwatches all the more smart and beneficial. They are versatile and stylish. And, the best part is that they are quite affordable.